Are you looking for a transport and logistics service in Udaipur? We bring you a revolutionizing online truck booking service through you can pickup trucks within the city and can transfer the goods to any destination across the country from Udaipur. The services we offer to our customers are user-friendly, rapid and cost-effective and also time-saving so as to offer best service to our customers. Customers also have an option of online live tracking available through which they can also track their goods in real-time and can connect with the driver at any time during transport and carry out the required communication. TruckGuru offers its service in Udaipur as there is a large requirement of transportation service due to large number of industries because of the industrial boom due to its eccentric location. Several industries such as textiles, pharmaceutical, chemical, metal, engineering, machinery etc are there in Udaipur. As an initiative of Central government to build connected roads to the major industrial hubs, road transport has received a boom in Rajasthan and helps to connect Jaipur, Mumbai, Jodhpur, and Chennai via road transportation mediums rapid and convenient. With many manufacturing companies in Rajasthan, truckload requirement is high in Udaipur. With this high requirement of truckload TruckGuru offers the best online truck booking service. 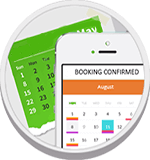 With our online service our customers can book a truck online via our TruckGuru app or from the web portal. Our full truckload includes many truck models such as Tata 407, Tata ace, 20ft closed container, 9 ton truck, Ashok Leyland Dost, Eicher fourteen Feet, 32ft closed container 14 ton, Tauras sixteen Ton, twenty-one Ton, and much more. There ranges a wide variety of goods for transportation from Udaipur to other locations of the country are textiles, Industrial machineries, raw materials, ceramics, papers, chemicals, household appliances, construction material, etc. TruckGuru is one of the best transport service in Udaipur and provides one-stop transportation requirements of its customers at an affordable price to all the major locations in the country. Drivers transporting your goods are highly experienced in the field of transportation. There is also an option of live Tracking available through which customers can check real-time location of their goods while in transit. In order to provide the best service to the customers our professional in-house team working here is in continuous interaction with the driver and customers making it easy to provide hassle-free service. 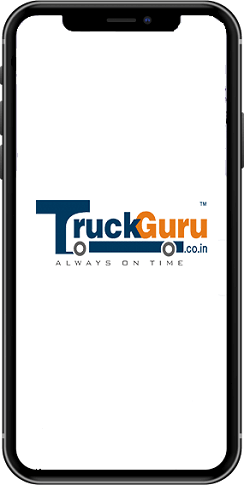 Our customers can book a truck online via our user-friendly app TruckGuru and also from the web portal in just a few clicks. We also provide our customers transit insurance at most affordable price for more safety and of the goods. Top locations for transportation form Udaipur are Jaipur, Mumbai, Delhi, Jodhpur, Indore, Surat, Kanpur, Nagpur, Pune, Bikaner, etc. Udaipur also known as the City of Lakes is a city situated in the India State of Rajasthan. Udaipur is located near the Gujarat border in the southernmost part of Rajasthan and surrounded by the Aravalli Range. It is almost 655 km from the national capital New Delhi and about 394 km from the state capital Jaipur. Udaipur was also referred to as the most romantic spot on the continent of India by British administrator James Tod. Udaipur lies on the intersection of East West Corridor and the national highways namely NH 76, NH 8 passes through Udaipur. Because of such availability of the stretch of roads it becomes very easy for the transportation to Mumbai and Delhi very easy from the city. Udaipur also houses a huge number of manufacturing units which primarily includes marble processing, chemical manufacturing, handicrafts and electronic manufacturing industries. 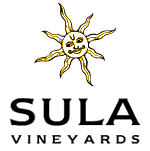 Few of the notable and top industries in Udaipur are Pyrotech Electronics Pvt. Ltd., Wolkem India Ltd., Tempsens Instruments, P I Industries, Choksi Heraeus and Hindustan Zinc Limited.